Detroit Connect has collaborated with Zonar​​ to deepen the connectivity services offered on the Detroit Connect platform. 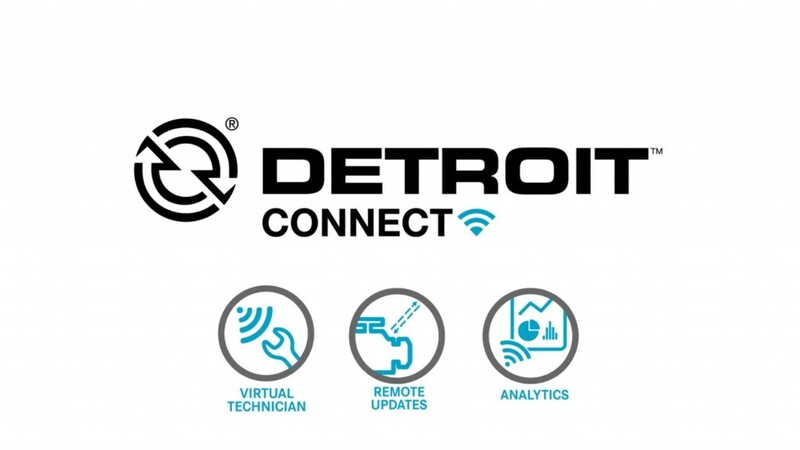 "Integrating the services of third party providers onto our Detroit Connect platform is a real game-changer," said Jason Krajewski, director of connectivity for Daimler Trucks North America. "It provides us the ability to expand our capabilities and push the bounds of the connected vehicle experience." Detroit Connect has collaborated with Zonar to deepen the connectivity services offered on the Detroit Connect platform. Zonar will be the first telematics service provider integrated onto the Detroit Connect platform, further strengthening the partnership between Detroit Connect and Zonar. Starting in April, Zonar offerings will be available on the Detroit Connect Platform allowing customers to access Zonar's patented telematics technologies, including Ground Traffic Control (GTC), Zonar's web-based fleet management solution without having to install additional hardware on the vehicle. "Our long-term relationship with Zonar has already led to significant advancements in the connectivity solutions we offer," said Krajewski. "Through our partnership, we'll continue to develop services that will blend our vehicle expertise with Zonar's proficiency in fleet management solutions." DTNA and Zonar's partnership began in 2011, when the companies collaborated to bring Detroit Connect Virtual Technician to market. In 2015, DTNA became a minority investor in Zonar to continue its industry leadership in telematics services. "We are honored to have jointly developed Zonar products on the Detroit Connect platform," said Gary Schmidt, vice president of business solutions at Zonar. "We will continue to collaborate on future telematics services, through our ongoing partnership, toward a joint vision of providing fleets with connected systems that deliver actionable insights, and improve safety, maintenance, and efficiency throughout the trucking industry." "Ultimately, our goal is to drive new solutions that will help shape and evolve the way customers' interact with the vehicle while at the same time enhancing the customer experience," said Krajewski.